On paper, a multiplayer online experience based in the Fallout world seems like a no-brainer. After all, these post-apocalyptic adventures always see players traveling a vast wasteland, meeting individuals of dubious trustworthiness, and looting container after container for useful parts and healing items. 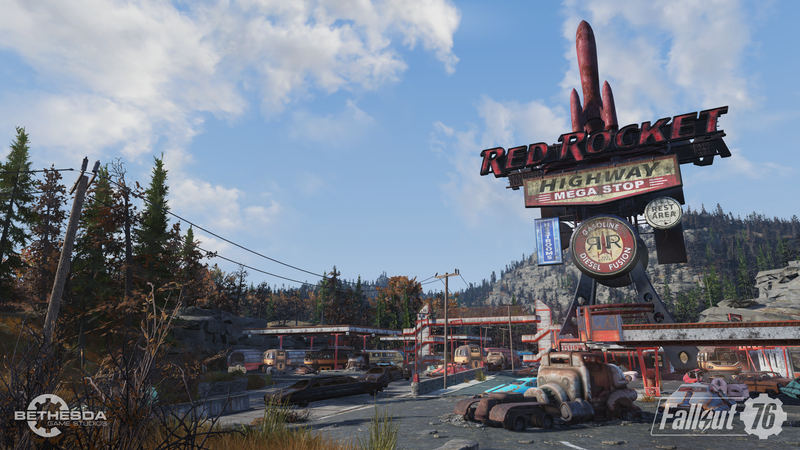 Fallout already contains so much of the quintessential MMO experience, so Fallout 76, an online survival game set in West Virginia, was a pretty easy sell. That said, just because the experience works on paper doesn’t mean that promise will translate well to the actual game. 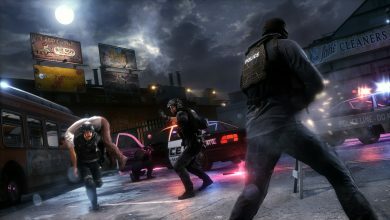 There has been some degree of controversy surrounding the game and whether its code is easy to hack or not; some players have voiced concerns that the game is easily exploitable and that players can easily head into the source code and give themselves an unfair advantage. 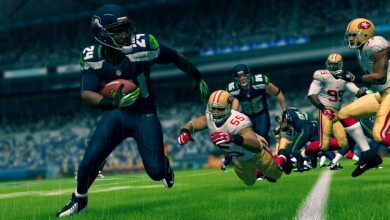 Bethesda has a pretty infamous reputation for being difficult when it comes to polishing their products, so this is par for the course, but Fallout 76 has much more riding on it in this regard thanks to its online multiplayer nature. Thankfully, the time we spent with the game doesn’t suggest rickety or ropey netcode. During our time with Fallout 76, we didn’t encounter any significant issues with network drops, players having unfair advantages over us, or any lag whatsoever. We did experience a number of visual tics - trees popping in at short notice, glitchy textures, the occasional facial animation bug - but, and we hate to say this, that too is par for the course when it comes to Bethesda, so it’s to be expected. What we’re saying is that technically, Fallout 76 is a solid experience, and since this is a continuous game it’s not unreasonable to expect Bethesda to continue to update it over the coming weeks and months. A far more contentious question, and one we’ve not yet settled on an answer for, is whether Fallout 76 is a worthwhile experience in and of itself. Players take control of a settler in West Virginia’s Vault 76 (hence Fallout 76) on Reclamation Day, a day on which residents of said vault sally forth from their safe haven to “reclaim” the wasteland and re-colonise it. It’s a nice, simple setup, and it’s obvious that the narrative-heavy approach taken by Bethesda in classics like Fallout New Vegas wouldn’t fly here, so it’s a fine way to present players with a reason to explore this new wasteland. Not that a reason is particularly needed. West Virginia is breathtakingly beautiful, all shimmering marshes, pastoral forest scenes and barren plains as far as the eye can see. 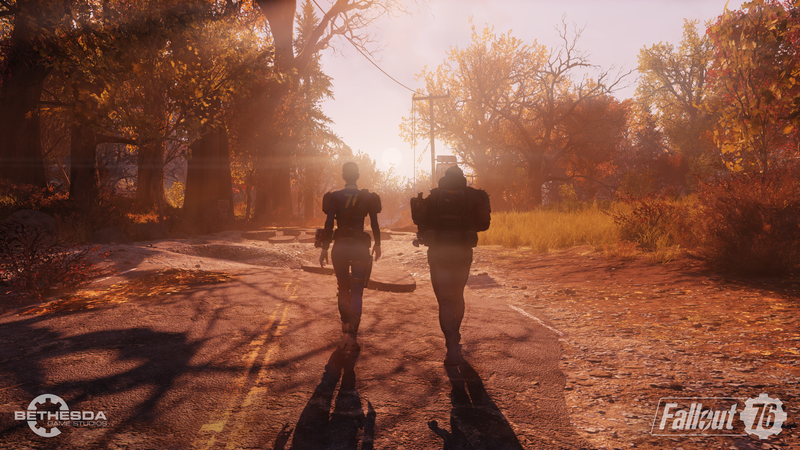 Fallout 76 is built on an iteration of Bethesda’s infamous Creation Engine; think Fallout 4 with a few more bells and whistles and you’re in the right place. The new lighting and terrain mapping lends a sense of authenticity and realism to the game’s visuals, which is nice, because online multiplayer games do tend to have a habit of ripping one out of whatever immersion one has managed to build through the medium of other players. About those other players, then. 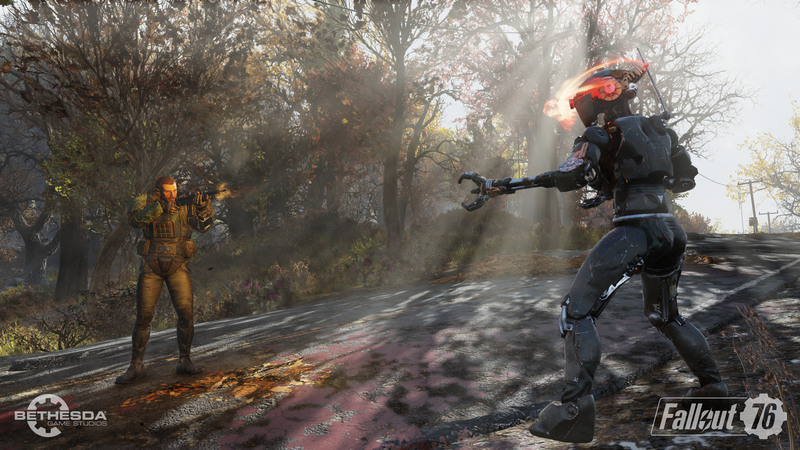 Fallout 76 is a multiplayer game, and it’s got designs on emergent experiences like DayZ and Minecraft. 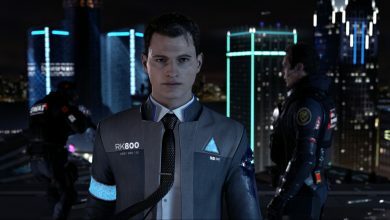 A large emphasis is being placed on player interaction and a player-generated world; there is a storyline, but it’s quite bare-bones, relying entirely on AI and audio logs as opposed to the previous titles’ living, breathing individuals (slightly uncanny valley-esque as they were). With that in mind, the game lives and dies entirely on the people who occupy its servers. Our time with the game was quite eventful in this regard; on one occasion, we teamed up with two other players to hunt for herbs, only to be betrayed by one of them when they decided they’d had enough, and the experience turned into a somewhat technically awkward sprint across the wasteland trying to dodge their bullets. Those herbs are part of the game’s Challenge structure, which sees players collecting things and killing things in an effort to tick off an ever-changing list of check boxes. Challenges reward players with Atoms, an in-game currency which can be used to purchase cosmetic items (there’s no way to buy items to gain an advantage, thankfully). 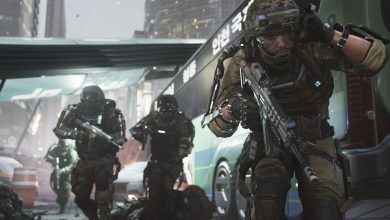 The game’s challenges are nowhere near as immersive or compelling as even the worst of the Fallout series’ regular quests; they don’t involve NPCs with fleshed-out backstories and they usually don’t require you to interact with people at all, so they reminded us of an MMO like World of Warcraft with any pretense towards storytelling stripped out. The developers of Fallout 76 have put a huge amount of effort into telling the same sorts of stories that the game’s predecessors have already told, and that’s both a blessing and a curse. Finding two skeletons holding hands near a burnt-out record player is beautiful and heartbreaking the first time, but once you’ve seen it five or six times you’re begging Bethesda to change the record (haw haw). So far, Fallout 76 is a competent online survival RPG with all of the same constituent elements that make Fallout games so compelling, but it’s going to have to work hard in order to distinguish itself in a crowded market.